Holy guacamole! Did you know 16 September 2018 was Guacamole Day? That’s right: a whole day dedicated to the tangy goodness of guacamole. While we don’t need a reason to celebrate this delicious food, Guac Day is a great excuse to bring up one of our favourite foodstuffs: avocadoes! This versatile green berry (yes, really, it’s a berry) is well-known worldwide for being smashed on toast at hipster cafés and commanding a high price at the supermarket checkout – there’s even a meme about millennials being voracious for the stuff. Growers in Queensland have even developed “Avozillas” that can weigh up to 1.8kg! We’ve rustled up a selection of great avocado recipes (including a lip-smacking guacamole) to get your mouths watering. Head on down to the shops to grab the ingredients and a bag of corn chips and then invite your mates around for a chat and a snack (or eat it all yourself!). Guacamole: fun to say, delicious to eat – but where it come from? You may have already guessed that guacamole is associated with Mexican cuisine, but you’ll need to go all the way back to the days of the Aztecs to catch the origins of guacamole! Originally referred to as ahuaca-mulli, meaning “avocado mixture”, the language gradually evolved to the term “guacamole” as we know it today, but you can see how they sound similar. Food for thought! Credit goes to Sara Kate Gillingham of The Kitchn for this recipe which will give your guacamole the perfect creamy texture with a tangy taste that will leave you wanting more! * Pro tip for those who get a bad taste from coriander: it still tastes great without it. 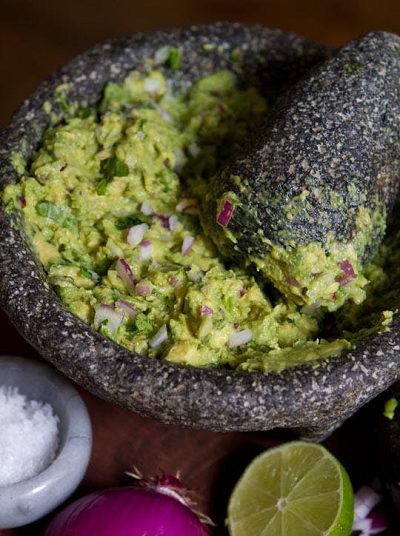 Spoon the flesh of the avocados into mortar and pestle or mixing bowl. Add the onion, jalapeño, coriander, and salt, and combine. Cut the lime in half and squeeze the juice onto the mixture, stirring gently so as not to crush the ingredients too aggressively. That’s all there is to it! Your guacamole is ready to serve. If you prefer a bit more colour in your guac, give this recipe for guacamole with tomatoes a go. If you’re hosting a big party you can even bulk up your dip with some corn kernels. 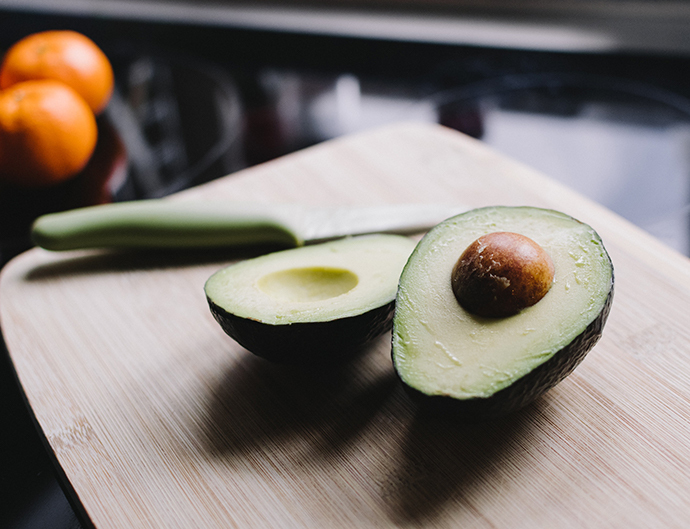 We’re sure some of you may be content with all guacamole, all the time, but for those who like to shake things up a bit, here are our top five recipes for other yummy snacks and meals you can make with this glorious green fruit. 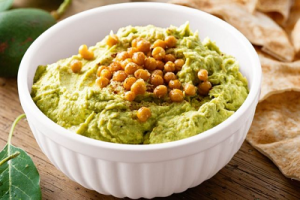 Staying within the realm of chips and dips, this tasty concoction is a beautiful marriage of avocado and chick peas with a dash of spices. Best served on Lebanese bread. Get the recipe here. 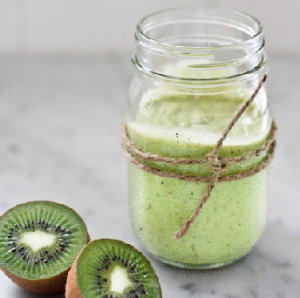 If you’re looking for a quick pick-me-up made of superfoods, give this green smoothie a try! It’s packed full of vitamins and it’s better for you than anything with ice cream. Get the recipe here. 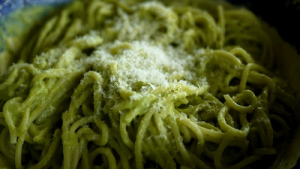 Give the dairy a miss – if you want a lovely, creamy pasta dish, just grab some avos! Get the recipe here. 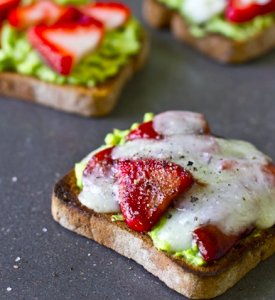 It may sound odd, but hear us out – this unusual combination of flavours produces a toasted open-faced sandwich like no other! Give it a try and you might just find your new healthy lunch-time favourite. Get the recipe here. 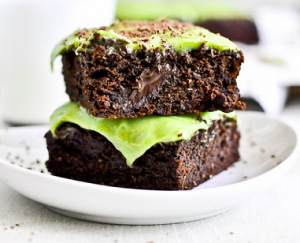 Some of us in the office already swear by adding avocadoes to brownie batter for an extra-fudgy texture but the frosting raised a few eyebrows! Get experimental with your desserts with the recipe here. You could even go all-out and prepare a side of avocado ice cream! Do you have any tasty avocado tips for us? Share them in the comments.